Jeff Matthews Is Not Making This Up: Will They Drive to Sea Island Next Year? Will They Drive to Sea Island Next Year? Four years after crude oil prices broke the $50 a barrel ceiling on their way to nearly $150 a barrel—and then round-tripped all the way back to $45—Ford Motor is going fuel-efficient. Ford Motor plans to tell Congress it is retooling itself to build small fuel-efficient cars and break from the past strategy of focusing mainly on large pick-up trucks and sport-utility vehicles, a person familiar with the matter said. It wasn’t all that long ago that Ford management was complaining about the impact of rising gasoline prices on sales of its bread-and-butter truck business instead of doing something about it, like, say, making smaller, fuel-efficient cars. That was in August 2006, which was six years after the Toyota Prius first hit the U.S. The time to “come blasting out” green was back in, say, 1993—when Eiji Toyoda, the William Ford, Jr. of Toyota, decided to develop a car that could get 47.5 miles per gallon, 50% better than Toyota’s best small car at the time. After $1 billion and a lot of hard work, that car became the Prius. Water under the bridge, you may say. And, politically speaking, you are correct. The Not So Big Three will get a bailout, because it’s hard to explain to a powerful union that Wall Street bankers and bond dealers ought to be bailed out but not Flint line workers. And they will get their bailout despite the public outrage at the fact that the men who helped oversee the industry’s decline flew private jets to Washington to ask for the money. Mr. Vincent seems not to understand that commercial jet service between Dulles and Baghdad is rather spotty these days, while that between Detroit and D.C. is quite robust. But the public was not fooled. The public intuited that the guts of the problem stemmed from the way the companies have been managed—witness Toyota’s 15 year head-start on Ford when it comes to getting with the green thing—and there was no better demonstration of that fact than the way it apparently never crossed the minds of these men that it might appear outrageous to be gassing up a fleet of G-IVs to travel to Washington to ask for money to bail out their truck-and-SUV-dependent businesses. So we here at NotMakingThisUp wonder what that same public might say if it came to light that early this year, the already-ailing General Motors took over an entire resort—Sea Island, Georgia—for its executives. And we wonder what that public might say if it furthermore came to light that GM, according to the astonished source who told us this story not long after it occurred, required that those same executives be ferried around the resort only in their own brand of cars? Let’s hope they don’t take the private jets to Sea Island next year. The REAL question is why Nancy Pelosi thinks there isn't commercial jet service between Washington DC and San Francisco and needs to fly on Air Taxpayer for not only herself but for family members as well. On the issue of private jets: how is this not identical to any AIG, Fannie, etc. executive? Even Goldman has received funding from Treasury. Are you seriously implying that numerous MP at GS are not flying around on Jets? What would be better for a CEO of a large corporation, a jet or peddling around on a bicycle? You are falling back on the same idiotic populism that has been running around Congress, where any executive who flies a private jet is elitist and a 'fat cat'. That is childish, and I strongly suspect you know better. I like this blog, but please, keep to economic issues. Q: On the issue of private jets: how is this not identical to any AIG, Fannie, etc. executive? Q: Even Goldman has received funding from Treasury. Are you seriously implying that numerous MP at GS are not flying around on Jets? A: Nope. What gave you that impression? Q: What would be better for a CEO of a large corporation, a jet or peddling around on a bicycle? A: Depends on how long the trip is. Q: I like this blog, but please, keep to economic issues. A: We don't do "economic issues." That would be extremely boring! I KNOW that you are more realistic than that Jeff. You must know that cars take two years to design and come out with a new model. Alan Mullaly came on board in mid 2006 and immediately began shifting from trucks to a small-car focus. Ford has been way on top of their game in terms of shifting towards smaller cars. In spite of Ford generating the majority of sales from large vehicle (trucks/suv's), they have disproportionately shifted advertising towards its new smaller cars. Agree, Mullaly is not the root problem at Ford. As for GM, see our "McClellan Awaits Battle…in Detroit" from Wednesday, December 07, 2005. We did not start thinking about these issues only yesterday! Is there any way we could bail out JUST the Mustang GT convertible and ZR1 Corvette, while letting all of Ford and GM's other cars go into the crapper? THAT'S a plan I could get behind! Totally agree with your take Jeff. Why are we bailing out companies that have been dying for over 10 years? And we are bailing them out and keeping the same management teams? And our Congress somehow expects these people to come up with a "plan" to somehow fix these broken organizations over a few weeks when they've been running the business into the ground for decades? All of this is just unbelievable to me. Of course finance executives found a way to run companies into the ground over a quicker time frame, but that in my opinion is a different subject altogether. The bottom line is we've all lost our minds, unwilling to deal with a year or two of bad economic times that would rid the system of a ton of rot. The simple matter is that these people who are asking for public money should not, in my opinion, travel in a manner that is so much more wasteful than what we do. Jeff, you totally failed at trying to write about what "the public" thinks about the auto mess. The public is asking itself "what's a pension?" and "why does the taxpayer have to support workers that get pensions?". The public is asking itself "given what we pay these execs, does it make more sense for them to fly their own jets or spend the week driving to DC?" The public is asking itself "since the auto companies pay for the purchase of Viagra for union retirees, are the auto companies really in dire straights?" The public is asking itself "why is GM profitable everywhere in the world that it builds cars, except the US?" The public is asking itself "does anyone really think Nancy Pelosi can do a better job running GM?" The public is asking itself "why not stick the rotting carcass of Chrysler on its private equity owners instead of the taxpayers?" Jeff, you really are not worth reading. I'd never buy your book, no matter how much you pump it. "Anonymous": for a guy who finds this not worth reading, you spend a lot of much time reading and writing about it! Thanks for writing, in any event. Both Ford and GM booked Sea Island earlier this year; Ford for 2 weeks (including one week for the Ford family), and GM for 3 weeks (one for each of three divisions). Ford insisted on Land Rovers and Town Cars, GM on Cadillacs. And from what we hear, GM wanted one car per executive. Nobody could make this up. Since my comment did not make it the first time around (don't think there was any "yahoo language," but what do I know), lets try for it again. Big Three's ineptitude (and especially that of Ford and GM), is of a different type than presented. Ford doesn't need to "start" making small, efficient cars and neither does GM. They've been making them for years and Europe and the rest of the world enjoyed buying them for years. Automotive magazines begged for some of those cars to come here for years as well. And the best that we got was a one-generation-ago Ford Focus or an Opel/Saturn Astra just when the times went from bad to horrible. So if the car makers can't figure out how to market cars they've already been making for years, it's no surprise they can't properly market the government bail out they so badly need to stay afloat. If the devil got sick and if God him or herself asked me to fill in for a few weeks, I’d take the job. As a temp I’d have to keep things simple. I would test folks by simply wandering around and offering to swap a netjets membership for a soul. I have seen the most outrageous machinations employed in order to justify private jet travel. jethro - the fact that we are even having discussions about bailing out a private company is a joke. does anyone think that they will survive even if we give them money? and for the car company execs to say they were doing fine BEFORE the market fell apart is more madness. these guys were getting their asses kicked by japan and korea for 30 yrs. their arguments that this car was voted best car by motor trend or best hybrid by car & driver is another stupid point. besides the fact that the winners of those are generally the biggest advertisers, the only thing these boneheads should care about is HOW MANY CARS THEY CAN SELL AT A REASONABLE PROFIT. if they make good cars that people want, people will buy them, PERIOD. the fact that there is such a discrepancy between labor cost per car hour vs asian-based manufacturers means that they cannot be competitive long term until those costs are equalized. the only thing worse is having to listen to the grandiose vacuous pontifications by barney frank and chris dodd about how to run a business to the execs. these congressional idiots should subpoena themselves for the wasted money they spent on the new wing for congress - was supposed to be $70mm, but whoops, it turns out to be $620mm. LET FINANCIAL DARWINISM WORK - if the auto dealers blow up, so be it, they're gonna blow up anyway in this environment. if more financials blow up, so be it, we're not gonna be able to stop this train anyway, no matter what we do in stimulus or bailouts. and for that matter, tell the central planning committee, er the treasury department, to STOP WRITING BLANK CHECKS TO EVERYONE. we can't take any more. LET THE BAD COMPANIES FAIL AND THE GOOD ONES SURVIVE - LET THE MARKET WORK! that is the ONLY way out of this mess. what we are doing now only prolongs and actually worsens the situation. and from this mess, new and better companies will arise, just as they have in previous downturns. On the subject of private jets. This howler from footnoted.og on SHLM proxy is worth reading. On the car companies, I think the public, most of Congress, and some portion of company and UAW managements has figured out that bankrupcy court is not a problem, but the answer. Jeff you ROCK! Keep up the great work. I own you book, i read your blog all the time and if i could i would buy into your fund. If value investors where action figures you would be a must have! The big 3 execs are pathetic communicators, which leads to horrific advertising. - we bring a staff with us on our private flights, during which we strategize and prepare in ways we could not do sitting in a coach seat (no privacy, no phone, no web access, no email etc.) - not to mention commercial fight time spent waiting, delays, etc. (These are arguments I bet politicians on private jets use all the time). - "It will take several years after we saw $100+ oil to turn things around - we're like a 10-times-normal-size aircraft carrier - starting, stopping, and changing direction all take a long time, and all consist of long-term bets that we will be persecuted for if we make the wrong bet"
I don't believe the second example myself; they could have been LEADERS instead of followers in going green. But still, these are 3 (the opposite of silver)-tongued dudes. You know what bothers me about GM? Why has GM's board of directors allowed Waggoner to stay on as CEO when he's literally destroyed whatever shareholder value was left when he took the reins back in May 2003? I sure wish I could understand why the various hedge/mutual/pension funds failed to vote "the bums" (i.e., GM's board of directors) out with their proxies. Guess there are just some things I'll never understand. Happy holidays, Jeff! Pickup trucks, like the world standard GMC 2500 4WD full length is the workhorse of the average American [insert tradesman]. Those trucks are required to do one's job. What are they going to do, take the train? No, the problem is much more fundamental, like solving the vast technical problem of building a replacement vehicle that is energy efficient. There is a lot of feedback on those hybrids that they don't get anywhere near the mileage claimed, so hybrids are like the automatic transmission, an interim fix to a more fundamental problem of how to create a powerful energy efficient vehicle. I think Detroit engineers are much more focused on solving the problem correctly instead of knee jerking to some assumed solution. It is a difficult technical problem that they must get right. Ethanol is a great example of how stupid politicians can really screw things up. Whoever thought up that scheme, to starve those who need the corn to feed cars. Yeah, brilliant. On the other hand, Detroit, specifically Ford is known for its ability to sleep at the wheel then suddenly wake up. Some of you may not remember the other time there was a massive retooling in Detroit, when the Japanese quality was killing sales in the eighties. Suddenly Detroit found Total Quality Management religion, Just In Time production, and Quality Function Deployment focused product definition, Taguchi Engineering, and they added the worker to the design process, stuff got done, and Detroit kind of changed. Ford built the Taurus and the rest was history. . . for ten years anyway, then it was as if they forgot what they looked like in the mirror in 1989. Ford even shut down large R&D divisions because it was so successful. Then it happened again: It was Sept of 1993 when the big three, Clinton and labor initiated an energy efficient car program that generated three prototypes in 2000, but which were abandoned because they thought nobody wanted them. The Japanese panicked in 1993 and instituted a ten year plan to be there first, and they were first, while Detroit snickered at the weird idea of the hybrid that would not sell. So here we are at another 80's impasse of management where the opportunity to wake up is before them. Personally, I sometimes wonder if Detroit does not just repeat their errors, but that they exist in a culture that is in denial. It is a business cultural thing in Detroit upper management that has come down from Henry Ford himself arrogantly not embracing change from his original Model T. Maybe it is time to move that management out of Detroit and with a new set of innovators in charge. I would encourage you to search for (or run your own) financial analyses on the time value of executives. Many studies have been done by every Fortune 100 company and they all show that it is much more valuable for their executives to fly on private jets than to spend the time and costs of flying teams of people commercially. It is extremely expensive to fly groups of twenty people at a time, most of the time at last minute and often in first class. At an aggregate level, it costs close to the same as managing a Gulfstream. Moreover, when you factor in the time it takes, taxi/limo service, etc, etc, etc, it's definitely more valuable. They're time is much more worthwhile spent on the job than sitting in airports trying to avoid flight delays while their divisions are failing. Trust me, I worked closely with a Fortune 100 company that after a merger cut their corporate fleet and made some of their division heads fly their entire teams a few times a week all over the country commercially. Needless to say, they purchased new jets the next year. Mike raises excellent points. Regarding Ford, don't forget Wall Street's and management's responsibility for the company's eventual collapse. Ford once had a terrific balance sheet, but Wall Street wanted to see the company "return value to shareholders," so Jacques Nasser spent the company dry. "Anonymous" defends the value of executive time saved by private jets. 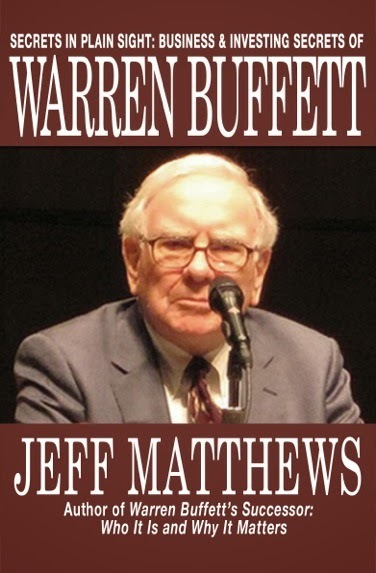 I do not doubt the numbers...in fact, I included an analysis of the "Time Value of Warren Buffett" in "Pilgrimage to Warren Buffett's Omaha" while discussing his acquisition of NetJets. They should have seen the reaction coming--but, then again, they didn't see high gas prices coming, so how could anyone expect otherwise? Great comment about Jacques Nasser, brings a face to the problem outlined. So Wall Street and Nasser are mutually responsible? I love this quote from Nasser's Wikipedia page: "Using the business models of non-automotive companies like Dell Computer and some of the "Dot-com" firms as benchmarks, Nasser sought to increase the company stock "price to earnings ratio" (P/E ratio) from the low single-digit levels of most automotive factory-industrial corporations, to the astronomical levels achieved by the benchmark firms, before the "Dot-com bust". So with that, Nasser succeeded in bringing the P/E down to below zero. Talk about not understanding core business values--wow. One other interesting tidbit about Nasser is that After Ford ("AF" for all you 'Brave New World' fans) he was non-exec chairman at Polaroid, acquired by Bank One. Polaroid started building other products after the collapse of the Polaroid film business, and one of those products was a high definition TV, of which I purchased one. Returned it the next day for quality issues. So, did Nasser knife the quality at Polaroid like he did at Ford? Ya think? I am late to this discussion but assume you will read this response nonetheless and respond if you feel it warrants comment. I have to disagree with much of the rationale behind the line of reasononing that the big 3 are failing. Let's address them one at a time, shall we? 1) The big 3 don't make cars Americans want to buy. This is completely false. The big 3 have been manufacturing cars and trucks that Americans do want. The have shown their ability to sell SUVs and light trucks successfully. The problem has been the mandated CAFE standards that forced them to commit a portion fof their production to cars Americans don't want FROM THEM. Given their costs of operating, the lower price point small cars that Japan has had a great deal of success with could never be profitable. The small car market has always been dominated by Japan. As an editorial recently pointed out, Americans buy small cars for cost reasons, not for gas mileage reasons. The big 3 have not tried to compete in this market excpet where forced to through CAFE. 2) The big 3 have successfully made small cars in Europe and should be able to do so here. The reason this is the case has more to do with the price of gasoline in Europe compared to the US. Of course smaller, higher mileage cars are more successful in Europe...with $9 gas and narrower streets and more crowded cities, small, fuel efficient cars represent a larger portion of overall car purchases in Europe. Forcing the US automakers to manufacture these same cars here, at the expense of capacity to produce the real money makers will only result in someone like Toyota or Honda filling in that demand and lead to the ultimate demise of the big 3, only later and at significant taxpayer cost.